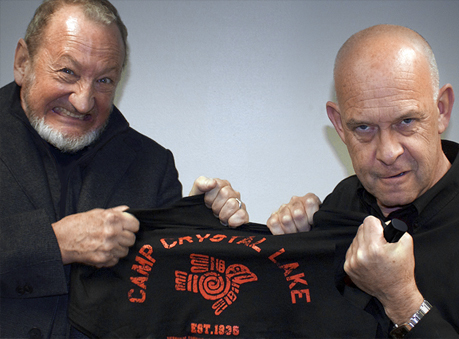 Horror icons Freddy Krueger and Pinhead battle over our Camp Crystal Lake T-shirt, but who would win? Thanks to Adam Farina, Robert Englund and Doug Bradley for this great image. Photographed by Simon Williams.